Mehendi (Henna Tattoos) have grown vastly in popularity in recent years. They are perfect for those looking for a beautiful, but non-permanent tattoo. Stop by and get the perfect henna design that will complete your look! 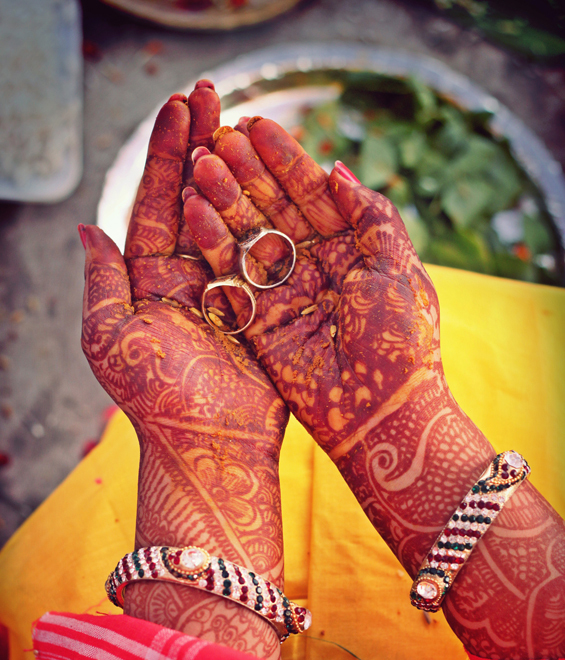 Traditionally, Henna has been used by a variety of cultures around the world for special events such as weddings, baby showers, and religious holidays. Today, Henna is used for fun by all cultures! Mehendi is the use of Henna to create temporary artistic designs onto your body. This fun, quick, & inexpensive “tattoo” like experience can provide the perfect accent for any occasion. We only use high quality, all natural Henna and have a variety of simple or very intricate designs to choose from. Feel free to bring in your own design for our artist to follow. The Henna paste is a mixture of Henna, which is a natural herb plant, ground into a powder and then mixed with water and a few trade secret essential oils to produce a deep red color. It is applied onto the skin to create beautiful artwork on your body using a cone (similar to one used to decorate cakes) as the applicator. Once the Henna pattern is applied, you will need about 30 minutes before it is dry to the touch. We usually advise that you keep the Henna on your skin for as long as you can (at least a few hours) before allowing it to flake off. After a few hours you can peel off the dry Henna paste with a spoon or spatula, avoiding the use of water in that area. After removal, you will see that it leaves behind an orange-ish color. The final color depends on each individual’s body chemistry and warmth. The color will darken from orange to burgundy over a period of 48 hours and develops darkest on areas of our body which naturally contain the most heat, like palms of hands and feet. *Note: Use of spray tanning or self tanning solution within 2 weeks of applying our henna will inhibit our natural henna from performing as it should. Click here to schedule a Mehendi appointment today. Rates are different for start times before 8am and finish times past 10pm.